The serviceability of much of the military’s equipment is questionable. By one account, the air force, is ineffective, as it has nearly no serviceable aircraft. On the other hand, xairforces.net reported that there were 8 combat capable aircraft out of a total of 14 aircraft. However, this source also reported a total of only 100 personnel, which is an implausibly low number to service such a number of aircraft. Scramble reports that "... the current air force is basically non-existent with only one Mi-8 thought to be in active use". AviationsMilitaires reports a single Cessna 337 Skymaster in service, and notes "The end of the Cold War resulted in the end of technical support from the countries of the East. The last domestic jet aircraft stopped flying in 1995. Some would still be stored. Today there are only a handful of light aircraft and some transport helicopters." By 1972 Civil Air-Portuguese Guinea had a total of 58 usable airfields, three of which had permanent surface runways. The province also has a seaplane station. 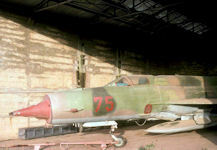 Bissau airfield, the largest and most important, was capable of handling large passenger and miIitary jet aircraft. At their departure in 1973-74, the Portuguese Air Force left three North American T-6Gs. Upon independence from Portugal, Guinea-Bissau formed a small Air Force with officers trained in Cuba and the Soviet Union. 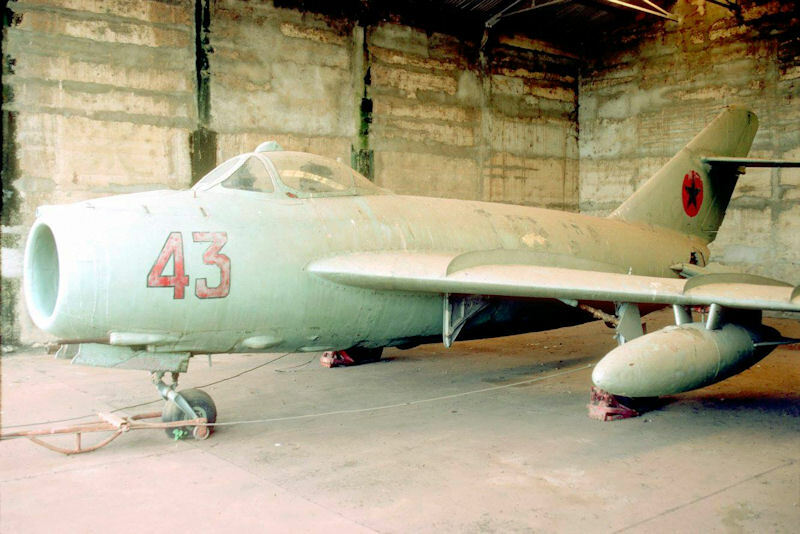 The force was equipped by the Soviets with its first combat aircraft - five MIG-17s and two MiG-15UTI trainers, along with a single Mi-8 helicopter. In 1978 France provided aid in the form of a Reims-cessna FTB.337 for coastal patrol and a surplus Alouette III utility halicopter. A Dassault Falcon 20F was donated by the Angolan government but was soon sold to the USA. 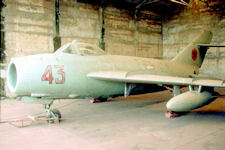 In the late 1980s five MiG-21s replaced the MiG-17s, and the Soviets also delivered an AN-24, a YAK-40 and another Mi-8 helicopter. In the early 1990s Guinea-Bissau received ex-Polish PZL-Mielec Lim-6 attack aircraft from Poland and East Germany. 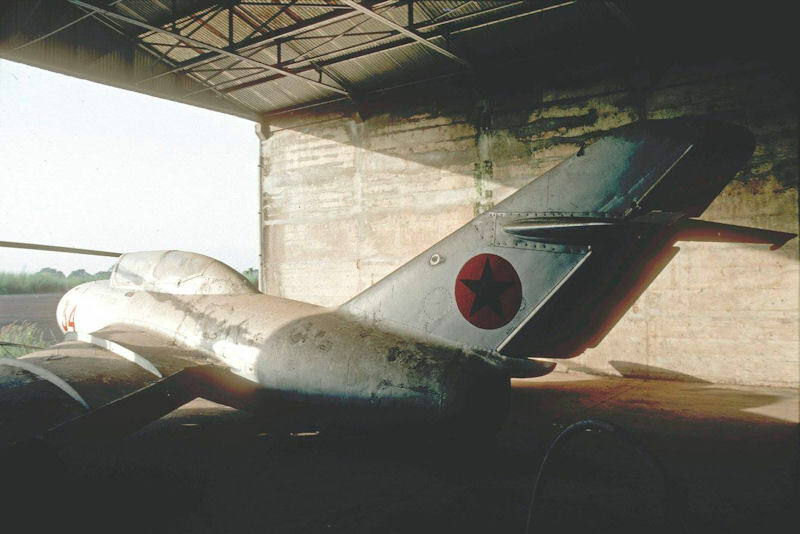 When last sighted in 1991, most of the MiG fleet was in 'storage' in several hangars on the military side of Bissalanca IAP (Osvaldo Vieira International Airport), and in a deteriorating condition. The Bijagos Archipelago is a collection of some 90 islands off the coast of Guinea-Bissau. Many of the large islands have Portuguese-built dirt airstrips, most out of use since the liberation war in the mid-70s but still in serviceable condition. Drug flights to Bubaque used to be met by a flood of local men, including police, and children as young as ten years old. They would rush to the airstrip when they saw the planes come in two or three times per month, even if it meant running out while school was in session. Traffickers would pay them to move packages from the airplane to fast boats waiting nearby; the youngest boys made about one dollar each time. Children also reported bringing packages to the nearby tourist hotel Kasa Afrikana. Guinea-Bissau's most powerful public security units, including the military and sections of the police, have been co-opted by drug traffickers. Those in the police or military who have not been corrupted do not take action because of threats to their life and lack of support. Jose Americo Bubo Na Tchuto, Guinea-Bissau’s former Navy Chief of Staff, and Ibraima Papa Camara, current Air Force Chief of Staff, were both involved in narcotics trafficking in Guinea-Bissau, including being linked to an aircraft suspected of flying a multi-hundred kilogram shipment of cocaine from Venezuela to Guinea-Bissau on July 12, 2008. According to the Department of State’s 2010 International Narcotics Control Strategy Report, Guinea-Bissau provides an opportune environment for narcotics traffickers because of its lack of enforcement capabilities, susceptibility to corruption, porous borders, and location in relation to Europe, South America, and neighboring West African transit points. Cocaine transits through Guinea-Bissau from South America via air or sea, and continues on to Europe by way of maritime traffic, drug mules on commercial air flights, or traditional caravan routes through Northern Africa and across the Mediterranean to Southern Europe. The chief of the Guinea Bissau Air Force said on 21 April 2012 that the country's airspace has been open since Thursday and that companies that do not fly to Bissau "do so because they do not want to. ... "The companies that do not want to come to Guinea-Bissau, this is no longer with us, that is a reason that is foreign to us. The TACV is operating and Senegal Air Lines is about to arrive today". According to the Chief of Staff of the Air Force of Guinea-Bissau, the security conditions for any airline to fly to Guinea-Bissau are "guaranteed": "Otherwise, TACV and the other companies would not come." The chief of the General Staff of the Guinea-Bissau Air Force - General Melcades Fernandes - took refuge in the embassy of the European Union in 2012, following disagreements with the military leaders who, had staged a military coup against the government of Prime Minister Carlos Gomes Júnior. The general was also accused by the army chief of being involved in the bombing of the former chief of the Armed Forces - Tagmé Na Waié. On 07 July 2014 Melcades Fernandes left the premises, a free man after nearly two years. The Secretary of State of Public Order - Doménico Sanca, made a point of emphasizing that the restitution of freedom to the general, known in the country by Manel Mina, was part of a return to normalcy in Guinea Bissau.